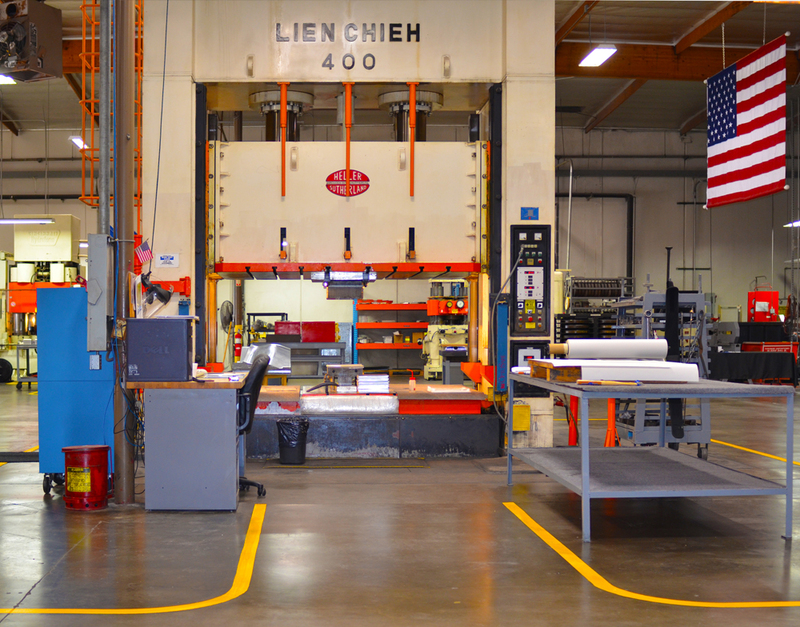 ACE purchased Honeywell’s metal forming division, and installed the equipment in our Compton facility. 400 tons of controlled pressure bends 1/2 steel sheet into deep shapes. 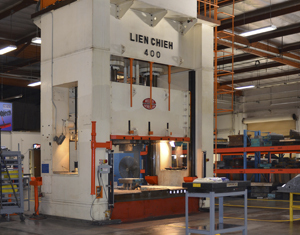 ACE's Lien Chieh delivers 400 tons of pressure in a smooth, slow stroke. 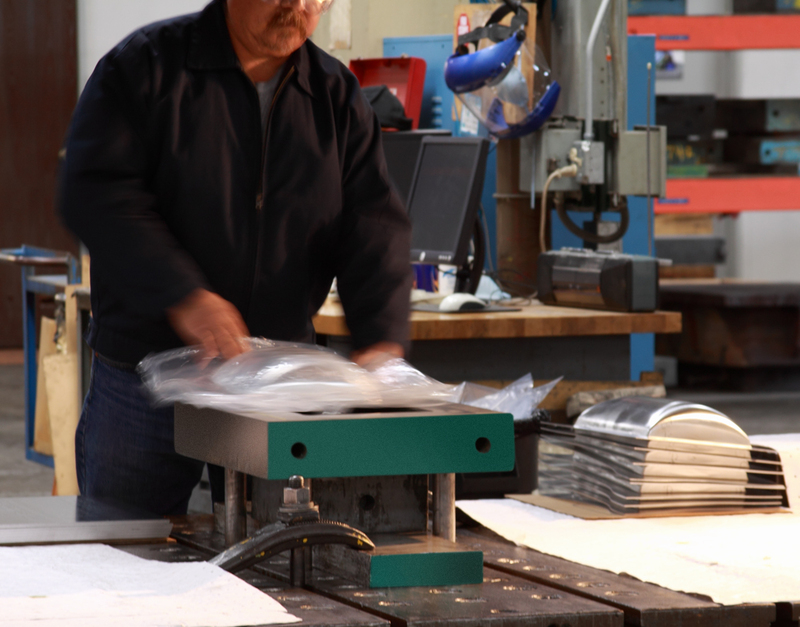 Sheet material is placed on the bed, which will sink as the top presses down. Slip sheets and lubricant are added top and bottom to prevent tearing. 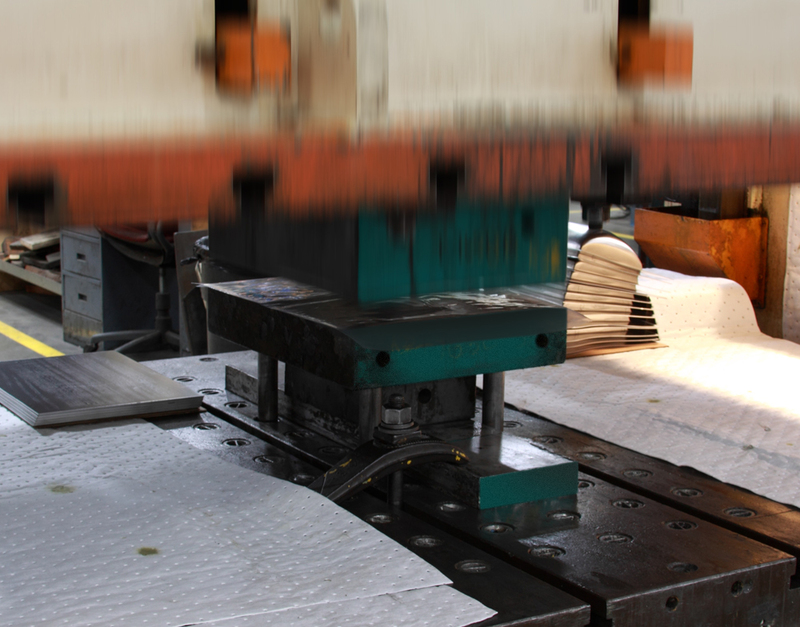 The die form that shapes the part emerges from the lower side as the top die presses the sheet onto it. 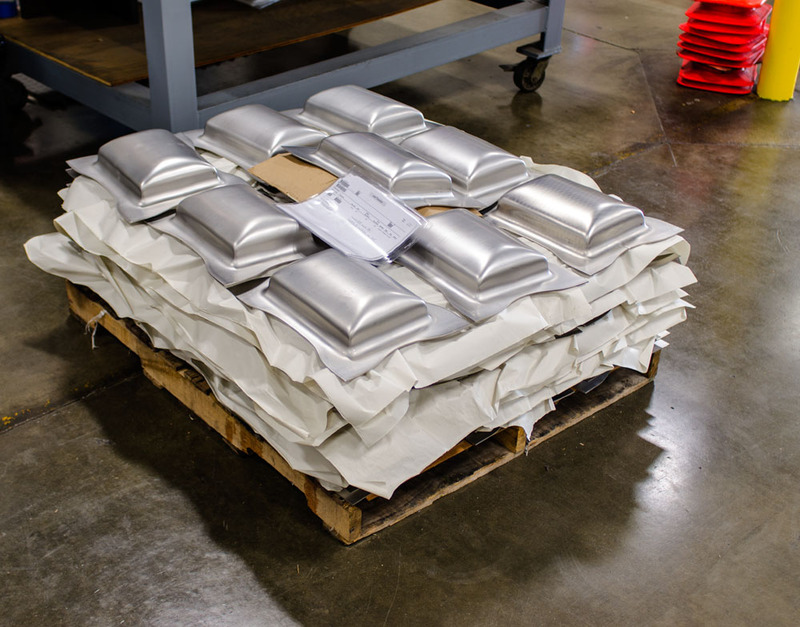 By this process an absolute, exact thickness of the material is maintained. 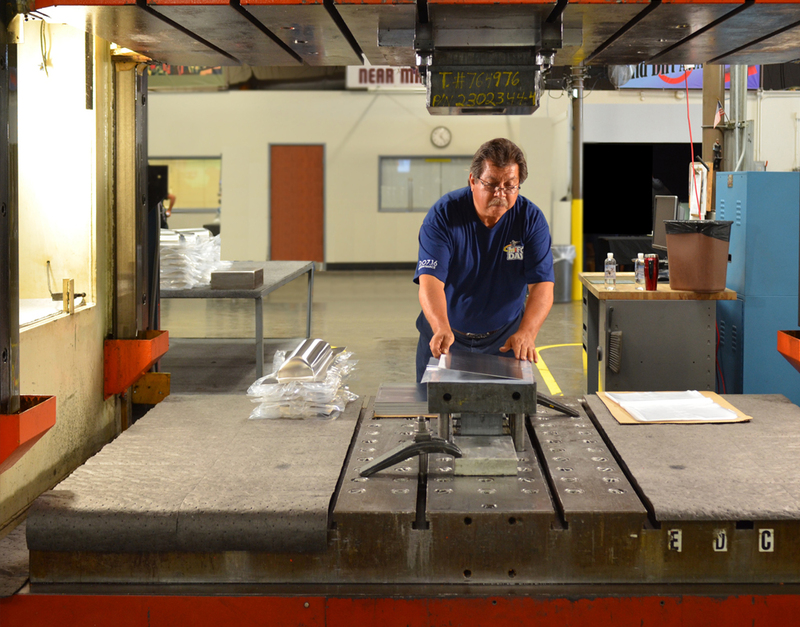 The accuracy, efficiency and speed of the hydraulic press make it the right solution for exact multiples. ...and it is perfect for extreme depth shape forming. A hydraulic press (also known as a Bramah Press) uses hydraulic cylinders to generate compression, or force – a hydraulic equivalent of a mechanical lever. It works on the principle that pressure within a closed system remains equal throughout. Two connected cylinders, one significantly smaller than the other, are filled with oil which is uncompressable. When the smaller cylinder’s piston presses on the oil, the larger chamber will press down with the same force of pressure, magnified by size. This method provides a very controlled, slow – yet extremely powerful pressing for thicker materials. Blanks are set upon a stage with the male die residing inside, beneath. The female die is affixed to the top part of the press. As the top presses down upon the base, the collar-shaped stage on the base will be pressed down revealing the male die. 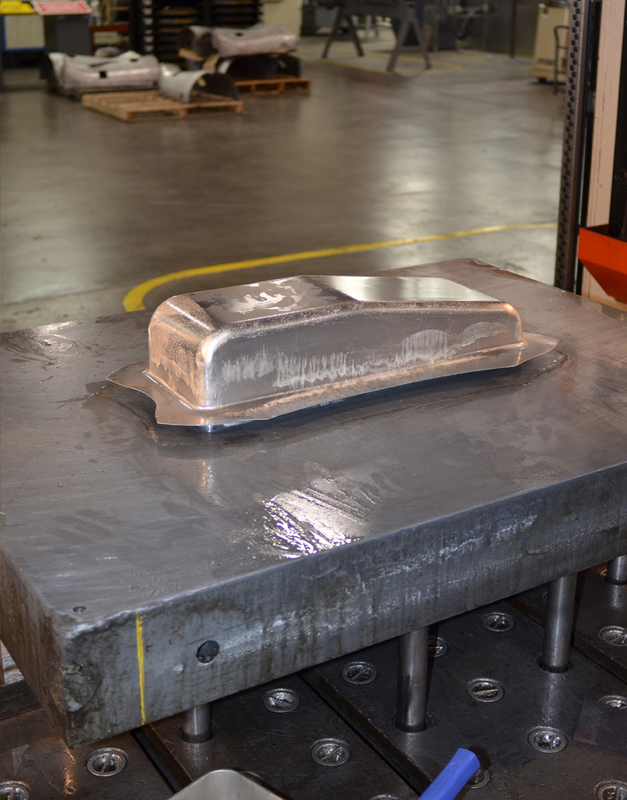 The sheet metal will slowly form, folding over the emerging lower male die. This is incredibly efficient, as it minimizes wrinkling, tearing and unintentional thinning of the metal.